Llanstinan Luxury Hotel for Cats has been purpose built to give your cat all the home comforts he / she deserves and desires. Heated and fully insulated our guests enjoy the optimum temperature summer and winter. 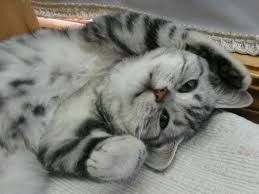 Run by a cat loving caring family your cat will be groomed daily, fed and nurtured to your individual requirements and any medication given as requested. We are fully licensed by Pembrokeshire County Council and are an award winner 2014. Each large individual chalet is spotlessly clean, and furnished tastefully with sofas, soft fluffy bedding and cosy igloos for your cat's comfort. Your cat's health, happiness and security is absolutely paramount during his / her stay here with us so every effort is made to ensure our guest's accommodation is second to none. A large variety of cat scratching toys, frames, ramps and vision devices keep your cat happy and occupied along with lots of cuddles grooming and attention. We use a specialist cat litter sieve system from Australia which eliminates odour and is the ultimate top of the range hygiene method. Each chalet is cleaned regularly throughout the day to ensure your cat is happy and comfortable at all times. We also offer transport, microchipping, day boarding, grooming and reiki for your cat. This is a really lovely Cattery so cosy and comfortable. Sooty was looked after so well I would recommend this lovely feline hotel to everybody. I am very impressed indeed.